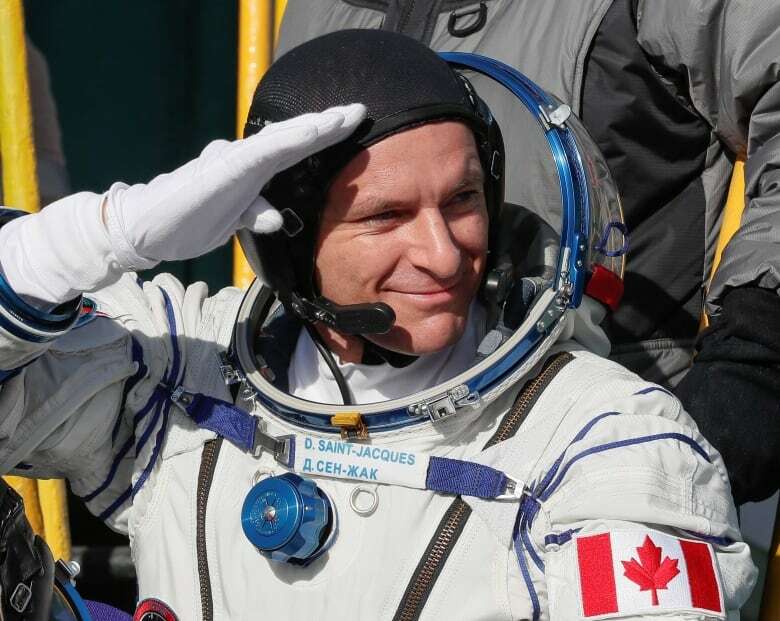 Canadian astronaut David Saint-Jacques and two international colleagues joined the crew at the International Space Station on Monday following a successful launch aboard a Soyuz rocket earlier in the day. Saint-Jacques, 48, Russian cosmonaut Oleg Kononenko and American astronaut Anne McClain are on a mission that is scheduled to last 6½​ months. The trio entered the International Space Station after spending nearly eight hours in their tiny capsule. 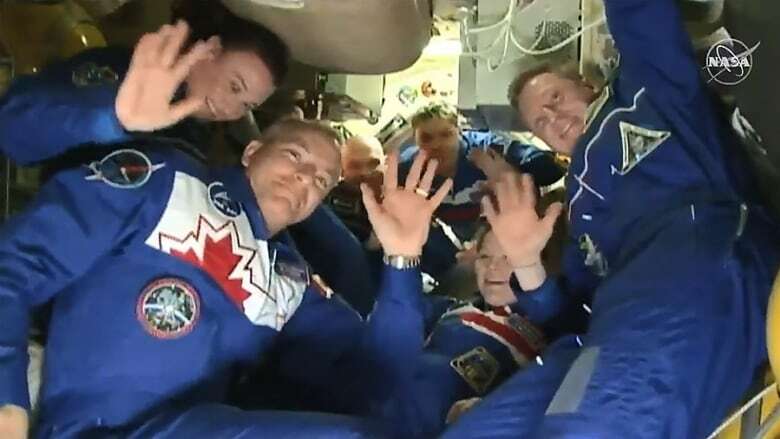 They were greeted upon arrival Monday by the station's current crew members, NASA's Serena Aunon-Chancellor, Russian Sergei Prokopyev and German Alexander Gerst, who were waiting outside the capsule's hatch when it opened at 1:37 a.m. (2:40 p.m. ET) while the station was flying over the southern coast of Yemen. Aunon-Chancellor, Prokopyev and Gerst are scheduled to return to Earth on Dec. 20. During a brief conversation with family members on the ground at the Baikonur Cosmodrome launch site in Kazakhstan, Saint-Jacques said he was completely astounded by everything he had seen. Speaking in French, he described his first sunrise seen from space as "breathtaking" and said it's just the beginning of the discoveries ahead of him. Saint-Jacques, Kononenko and McClain launched into space from the Russian-leased Baikonur Cosmodrome in Kazakhstan on Monday at 5:31 p.m. (6:31 a.m. ET). They docked with the station at 11:33 p.m. (12:33 p.m. ET). The families of the crew, other astronauts and space officials from several nations breathed a sigh of relief after observing the flawless launch, with October's Soyuz rocket failure still on the minds of many. 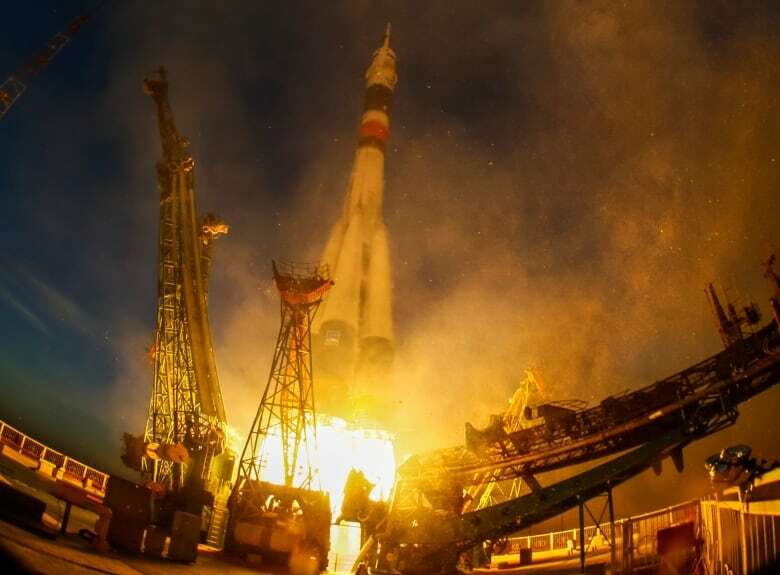 It was the first manned Russian rocket launch since a dramatic aborted Soyuz failure in October, when the two astronauts aboard were forced to make an emergency landing. Russia suspended all manned space launches pending an investigation before giving the green light to resume them on Nov. 1. It's the first time a Canadian has been in space since 2013, when Chris Hadfield gained immense popularity around the world by providing glimpses — and the occasional musical performance — into daily life on board the orbiting laboratory. Saint-Jacques — a doctor who also holds degrees in engineering and astrophysics as well as a commercial pilot's licence — was initially scheduled to head to the ISS later this month, on Dec. 20. However, his launch was moved up after the Soyuz malfunction in October. He'll spend his time at the ISS conducting experiments, operating Canadarm2 (the Canadian-built robotic arm aboard the ISS) and testing new technologies, the Canadian Space Agency says. Some of the experiments will focus on the physical effects of the weak gravity astronauts experience in orbit, as well as how to provide remote medical care. The crowd on hand to watch the launch included members of Saint-Jacques' family as well as Governor General Julie Payette, herself a former astronaut.